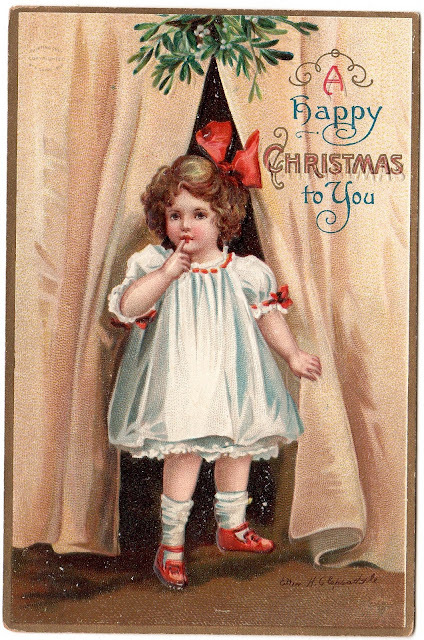 I thought I would share a few more of my vintage Christmas postcards with you. ...you know how I feel about little red shoes and mittens! 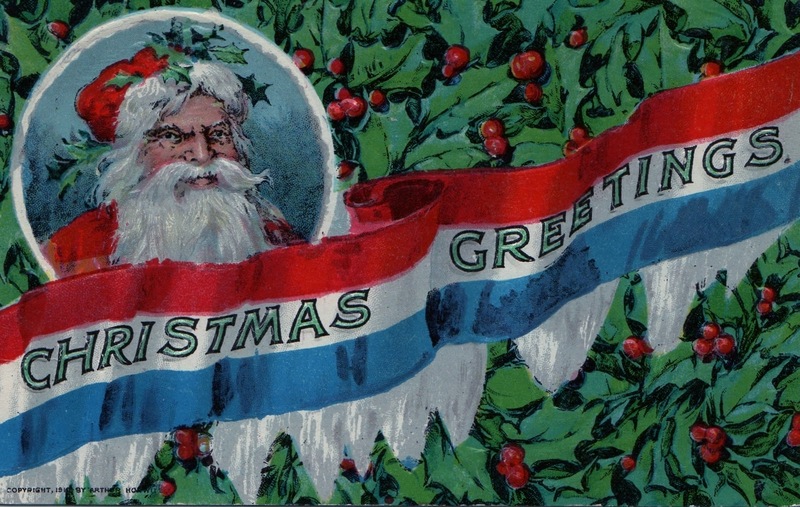 Santa Claus Depot at the North Pole! And now....the American Pickers Giveaway! of your picking escapades and adventures. The lucky winners are Anji Johnston and Cheryl Kuhn! Thank you all for playing along! Can't wait to watch tonight's episode! Let's all keep picking and sharing our finds! oh these postcards are gorgeous. tfs! and congrats to the lucky,lucky winners! 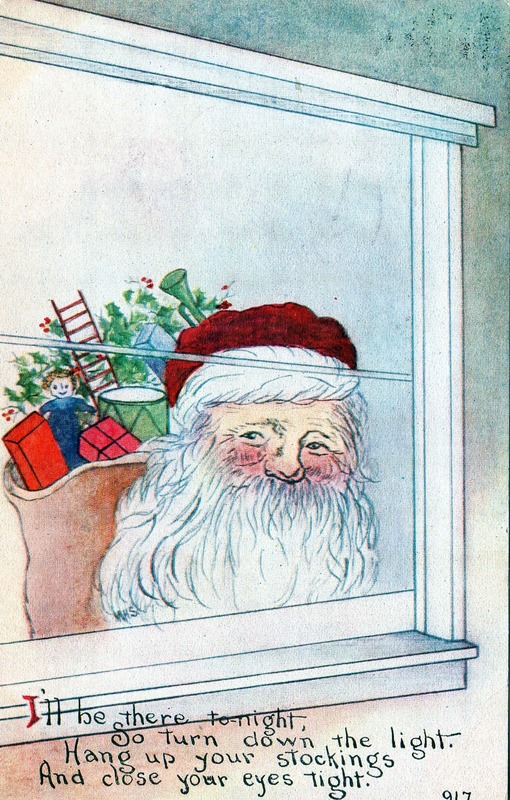 eek...a peeping Santa...can I be a little scared of that one??? Congratulations to the winners!! 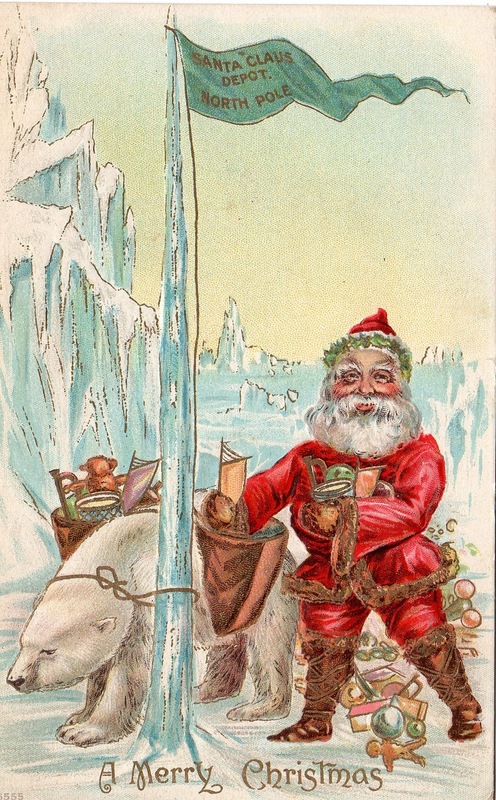 Love the postcards...especially santa at the north pole. I`m an artist from Germany and I love your blog so much. A few days ago I sawed the sweet little mouse on your blog. I must draw them with my watercolours. Then I have a nice christmas idea. I make a search image lottery on my blog. The people must find the original mouse foto. on your blog. They all come from me!!! Sorry for my bad english, but I want to tell you that reasons. All people are very thankful, that they find your wonderful blog, because of the lottery. 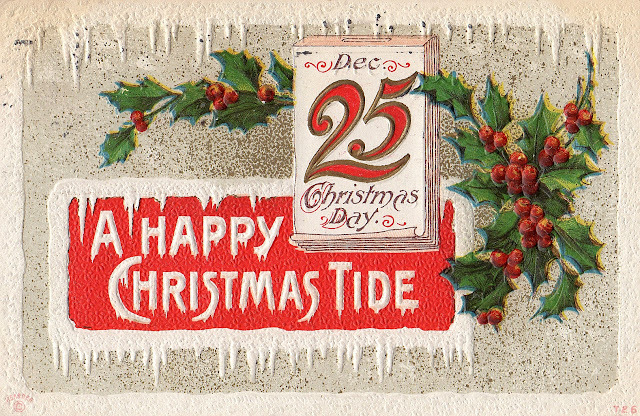 Wonderful cards, thanks for sharing! Love the cards especially the Santa Claus Depot! Congrats to the winners!!! Wow, i think my jaw hit the floor when I saw my name as a winner! !I never win at contests so what a great contest to finally win! Thank so much Laura for having the best blog on the web. reminds me of Grandma’s stuff from the old country. I see you have more of these wonderful vintage Santas... and a peeping Santa at that!! Big Congratulations to Anji Johnston and Cheryl Kuhn! American Pickers is such a fun show! Also, thanks for the wonderful post card images! Love them! Who's Hiding In That Pickle Jar? Tell Your Mom You Love Her!